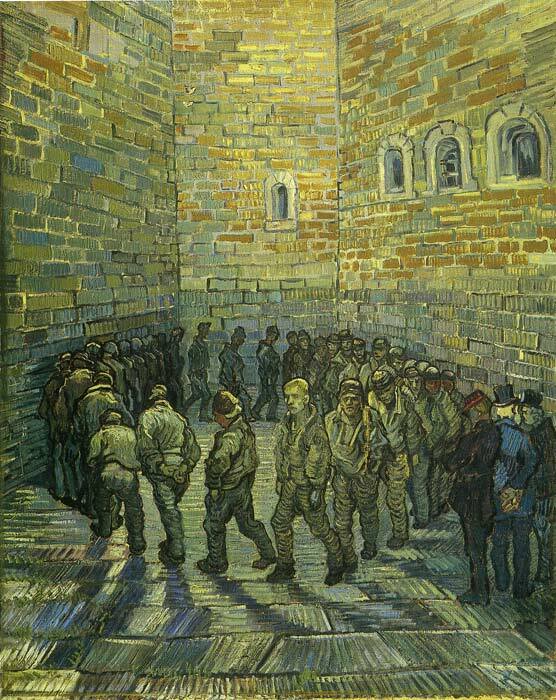 Van Gogh painted The Prison Courtyard while "imprisoned" himself, in the Saint-Paul-de-Mausole asylum in Saint Remy. Van Gogh died 5 months after painting the The Prison Courtyard of a self-inflicted gunshot wound, the culmination of his long struggle with physical and mental illness . SPECIAL NOTE : The painter will make the reproduction as close to the original oil painting as possible. If you want your painting to alter from this likeness, please email us and " The Prison Courtyard, (1890) " will be reproduced according to your special requirements.